This past July I was fortunate enough to attend a Star Party with my girlfriend Mary. We were looking for something to do on a Saturday night and I randomly saw this event advertised on a website of local events. I didn’t know anything about a Star Party going into this, but I’ve always loved astronomy and space and it seemed like a great opportunity to do some star gazing. The night we went was a beautiful late July night in western Pennsylvania, with clear dark skies and stars twinkling like diamonds above the rolling misty hills. I was especially excited for the event because Mary had never seen a shooting star before and I was hoping we could catch a glimpse of one. We drove out to Tarentum, which is about 20 minutes north of Pittsburgh. On the outskirts of town you’ll find the Wagman Observatory. It’s Pennsylvania’s first astronomical amateur observatory, which opened in 1987. When we arrived, there were about two dozen cars parked in an open field with the observatory located up at the top of the hill. Along the road leading to the observatory were astronomers from the Armature Astronomers Association of Pittsburgh. They had their personal telescopes out and were allowing the public to view through them. 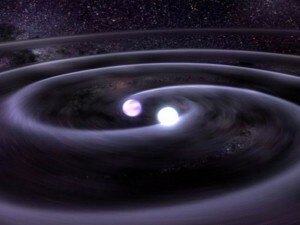 One gentlemen allowed us to view a binary stars, which are two stars orbiting a common center of mass. From the telescope we looked through, they appeared as two white dots very close to each other. Another gentleman allowed us to view the moon in close detail. I couldn’t believe how many small craters were on the moon that couldn’t be seen with the naked eye. The observatory itself has two massive telescopes. One is a 21-inch Manka Memorial telescope and the other one is a Brashear 11-inch refractor, which were both pointed at Saturn. When we viewed Saturn from the 11-inch refractor, it was so amazing that I have a hard time describing what it looked like. 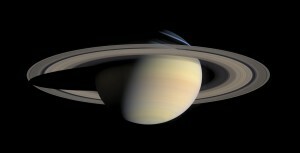 You could see the purple and pink hues of the planet and its rings and even see one of its orbiting moons, Titan. Looking at it made me feel like I was floating in space at a close distance looking at it. It was like something out of a NASA photo and looked very similar to the photo below. Before Saturday night, my girlfriend Mary had never seen a shooting star. I was determined to change that. After we were done looking through the telescopes, we sat out in the field next to my car to watch for them in the sky. Sure enough, we eventually spotted one! I actually observed three of them that night. While gazing up we even spotted a few satellites. 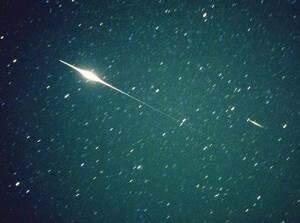 While waiting to see a shoot star, we also observed what is a called an Iridium flare. I didn’t know these existed until that night, but some of the astronomers began getting everyone’s attention to look up to the sky towards the right of the moon and we saw a giant streak of white light that lasted a few seconds. It turns out these flares are actually the sunlight getting reflected off of orbiting satellites above Earth. If you ever get a chance to attend a Star Party, I highly recommend it. It’s a free event that is open to the public. More information about Star Parties, the Wagman Observatory and the Armature Astronomers Association of Pittsburgh can be found here by going to http://celestial-imaging.com/aaap/?page_id=389.